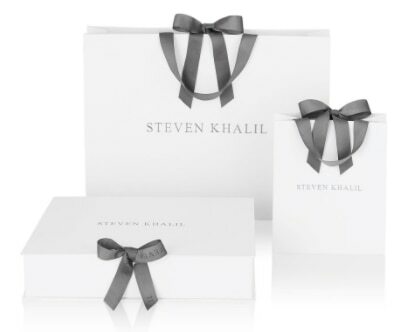 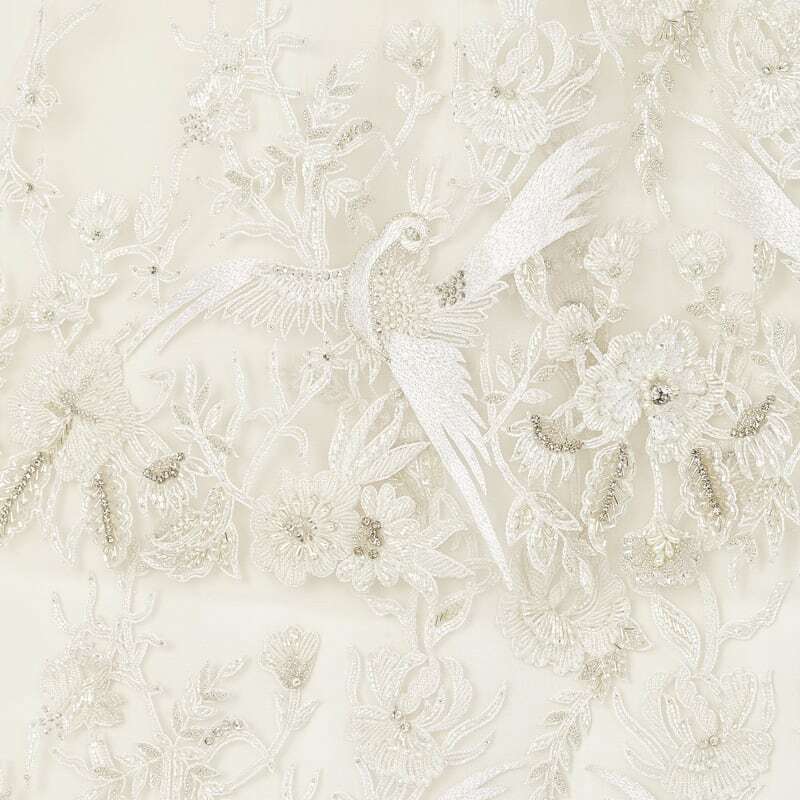 ‘The Wings’, or Les Ailes in French, is an elegantly embellished couture set by Steven Khalil, inspired by the much-celebrated ‘Lovebirds’ design. 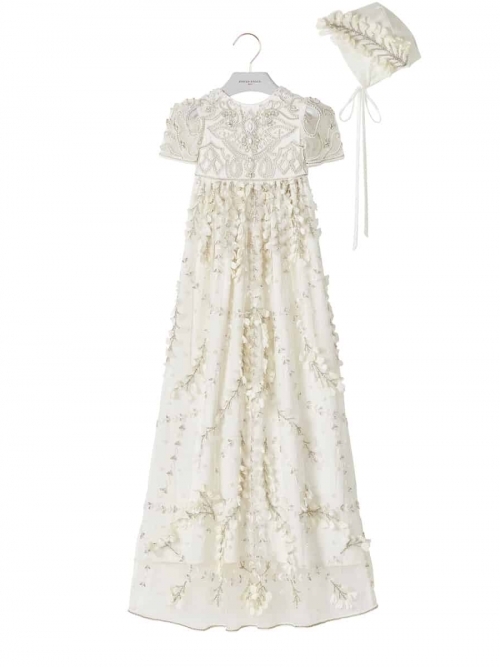 The double-tiered hemline creates volume, whilst hand beaded birds dart amongst florals adorning the luxurious skirt and sleeves. 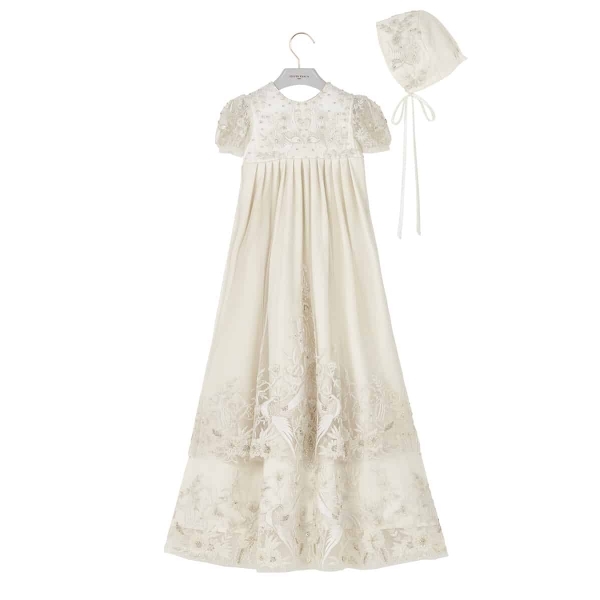 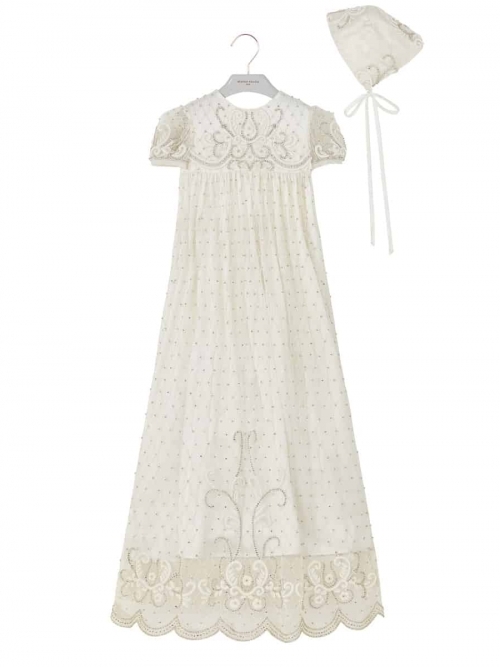 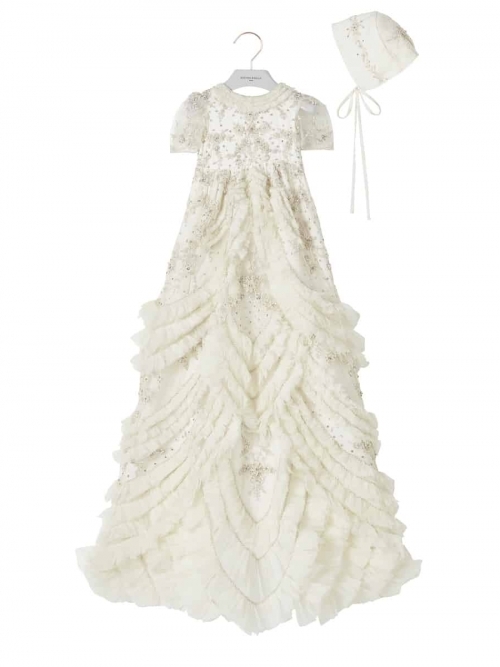 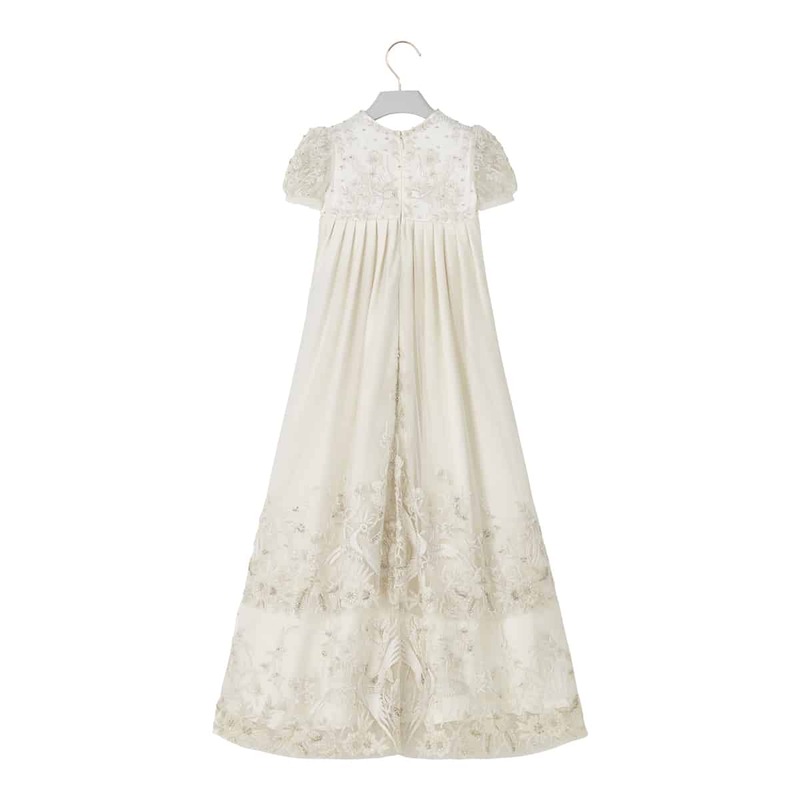 The Les Ailes gown coordinates perfectly with its intricately adorned bonnet.